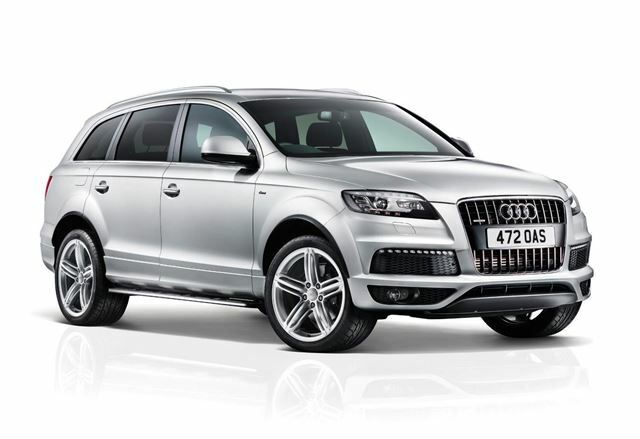 Audi is now offering a lower powered 3.0-litre TDI diesel engine in the Q7, priced from £39,995. The 204PS unit will be sold alongside the existing 245PS 3.0-litre TDI, but with a cheaper price tag and slightly better fuel economy. As with the rest of the Q7 line-up, power is sent to all four wheels by the quattro four-wheel drive system, with a 60/40 front/rear split. Meanwhile, Audi has added a new S line Plus trim level to the Q7 range. It includes 21-inch alloy wheels, metallic paint, tinted glass, running boards and an electric tailgate. Inside, there is a Google maps based sat nav system, Bluetooth, Wi-Fi access, upgraded speakers and an Audi Parking System, which includes a rear view camera. The S line Plus specification costs £4,500 more than the regular S line trim and is offered with all but the V12 TDI engine.